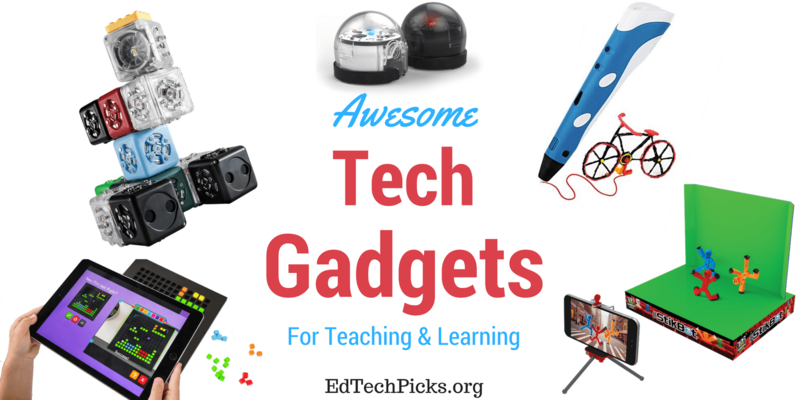 One of last year’s most popular posts was 5 Awesome Tech Gadgets for Teachers and Students. 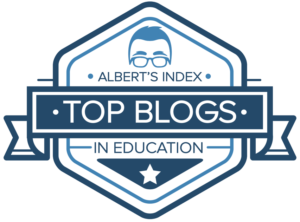 This year I’m sharing another five educational gadgets that have really caught my attention. 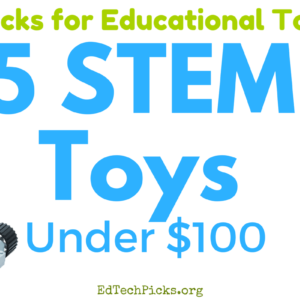 The Ozobot bit is a tiny robot with gigantic possibilities for learning. Students start out drawing paths with markers for the mini robot to follow. They advance by using different color combinations to inform the Ozobot what to do, and progress to drag and drop programming on a tablet. 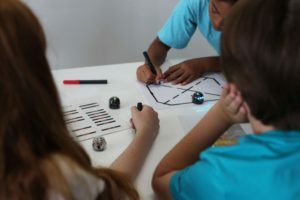 Ozobot is a versatile and affordable tool to get students started with computer science and robotics in an accessible and affordable way. Sense Blocks: detect light, temperature, distance from objects. 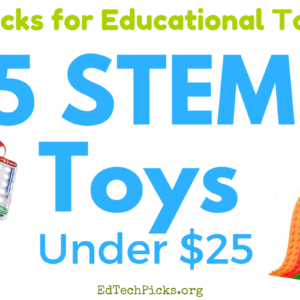 Action Blocks: drive, spin, make noise, shine a flashlight, display information as a light-up bar graph. 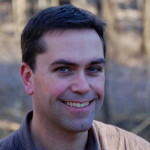 Think Blocks: work with data from sense blocks to deliver maximum, minimum, or inverse values. There is also a Bluetooth block that can communicate with your iOS or Android device via the free Cubelets app. 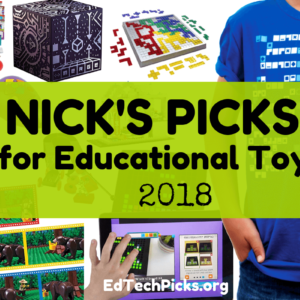 Cubelets Education Page – Classroom Packs, Lesson Plans, and more. StickBot Studio is one of my favorite apps for making stop motion animation videos. If a great app that includes green screen capabilities wasn’t enough, the folks at StickBot have designed kits to provide entire stop motion studios. 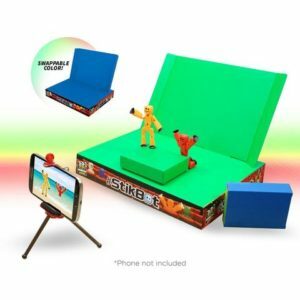 The StickBot Animation Studio Meg Pack includes two posable action figures, a green screen stage, and a smart phone tripod. I bought one for my daughter’s seventh birthday, and for just over $30, it’s truly a bargain. 3D Printers are amazing, but pricey. 3D Pens are amazing, and affordable. 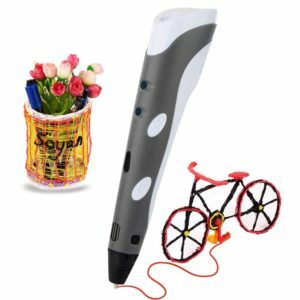 The 3D Printing Pen that has generated the most buzz (at least in my experience) is the Soyan 3D Printing Pen. It’s easy to use, and you can get started for under $40. 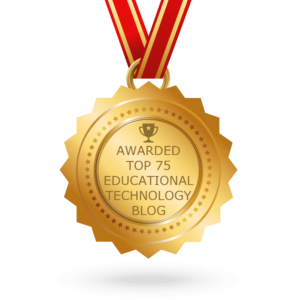 This is perhaps the easiest way to enable students K-8 to make their own video games. Students design game layouts and characters by arranging colored blocks on a game board. 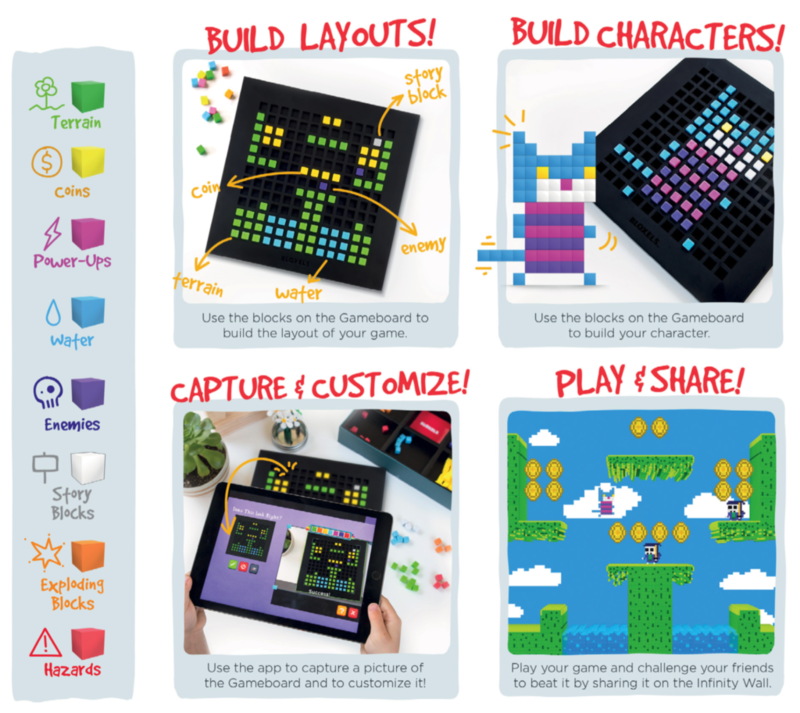 They capture pictures of their design and customize them with the free Bloxels app (iOS, Android, Kindle Fire). Not only can they play the games they create, they can share them with their friends.